WILMINGTON, NC (UNCW News Release) - Senior Lauren Moore and sophomore Hannah Adamczyk each collected three hits, but it was not enough as Hofstra swept a Colonial Athletic Association doubleheader from UNCW on Saturday afternoon at the Seahawks' Boseman Field. Hofstra, which improved to 17-17 overall and 6-4 in the CAA, shut out UNCW by a 6-0 margin in the opener before posting a 5-3 triumph in nine innings in the nightcap. 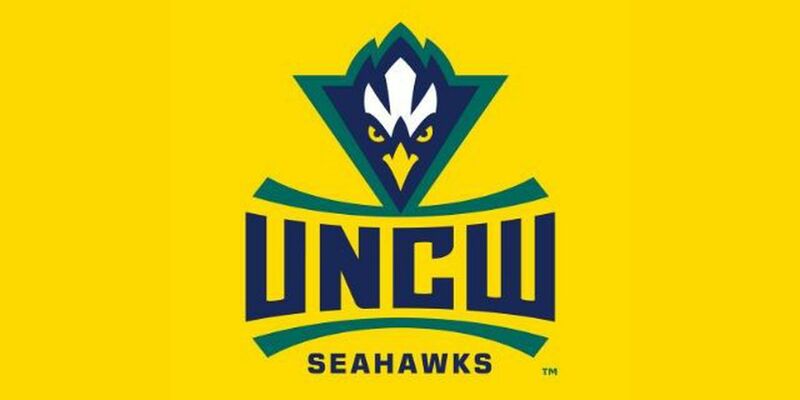 UNCW dropped to 28-9-1 overall and 8-3 in league play. Moore went 2-for-3 in the first game before adding a hit in the second contest while Adamczyk tallied two of her three hits in the nightcap following a 1-for-3 performance in the opener. Junior Brielle Pietrafesa led Hofstra to the doubleheader sweep with a 4-for-8 effort at the plate while adding three runs scored and four runs batted in. How It Happened – Game 1: Hofstra scored a run in two of the first three innings before adding a pair of runs in the fifth and sixth frames. Junior Brittany Allocca drove in two runs with a home run in the fifth inning while freshman Kristin Hallam added a two-run double in the sixth inning. How It Happened – Game 2: Pietrafesa broke a 3-all tie in the top of the ninth inning when her one-out double to left field drove in a pair of runs. The Pride retired UNCW in order in the bottom of the frame to secure the victory. Inside the Box Scores: UNCW left 22 runners on base in the doubleheader, including a season-high 15 runners in the second game … The Seahawks had the bases loaded in four of the nine innings in the nightcap … UNCW was 13-for-23 in advancement opportunities in the second game … Hofstra had its leadoff hitter reach base in 5-of-7 innings in the opener. #SeahawkStats: UNCW was swept in a doubleheader for the first time this season … It is also the first time the Seahawks have lost back-to-back contests … Sophomore Kali Jones has reached base safely in 12 consecutive games … Sophomore Rachel Willis extended her hitting streak to five straight games … The Seahawks are now 4-3 in extra-inning contests this season … Willis also tallied a season-high three walks in the second game ... The Seahawks wore pink jerseys in support of breast cancer awareness as part of their annual "Strike Out Cancer" day. Up Next: The Seahawks and the Pride complete their three-game CAA series on Sunday morning with a single game at 11 a.m.